The City of Detroit has announced that it will not collect any yard waste, such as grass clippings or leaves, for at least one more week. There is, of course, a chance that it will be even longer before they resume collecting them. This is a good time for homeowners in the Warrendale neighborhood and throughout Detroit to think carefully about the idea of composting. 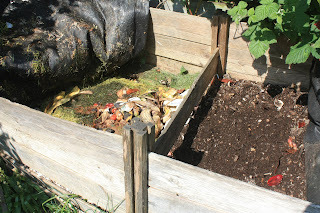 This is the process of naturally converting yard and kitchen waste into an ideal fertilizer for gardens. The U.S. Environmental Protection Agency has a series of tips for indoor and backyard composting available here. Using these tips not only keeps the yard waste that isn't being collected from being an eyesore, it recycles it into something that you'll be able to use next spring. Composting is your Warrendale Tip of the Week.